My wife and I had always wanted to visit Venice, but every time we looked at the price of city breaks we concluded that they were too expensive. “We can get a week’s full board elsewhere, for that price.” We told each other; and we did. So when we discovered the Venetian Riviera we were delighted to find that we could get the best of both worlds. 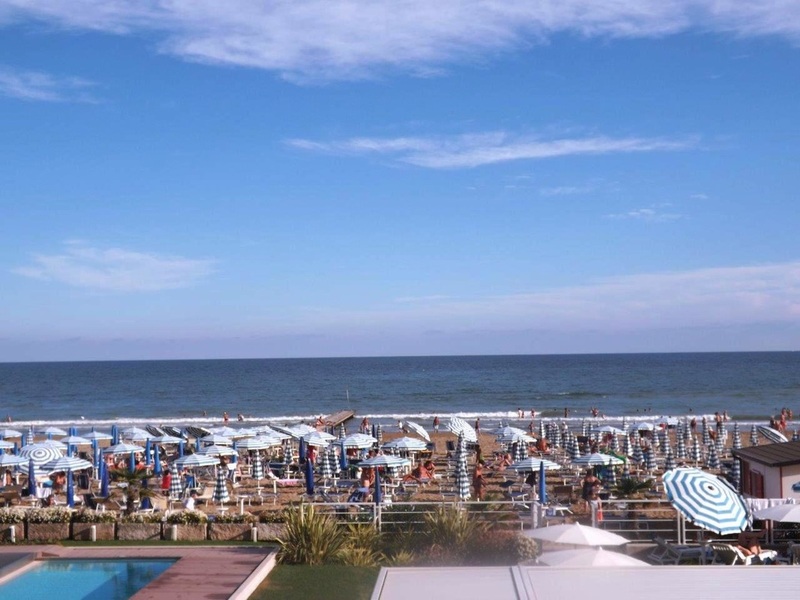 Jesolo is one of several resorts on the Venetian Riviera, sitting on the peninsula that forms the North Eastern side of Venice’s lagoon. After just over a two hour flight from the UK it is a 40 minute bus transfer from both Venice and Treviso airports. The resort part of the town forms a long strip of beachfront hotels and holiday apartment blocks, backed by cheaper accommodation and streets of bars, restaurants and shops. In truth you could close your eyes in the UK and open them in Jesolo and not know where you were, as it is so similar to many resorts from Antalya to the Algarve. But we didn’t come to Jesolo for the resort experience, we came because it is so close to Venice. Jesolo has three things going for it. The first is its broad, sandy, blue flag beach, patrolled by lifeguards and shelving gently into the sea. The second is that it isn’t the destination of choice for the crowds of boisterous young single men and women who blight so many other resorts. This makes it ideal for both families and older travellers. It isn’t as cheap as the Spanish Costas or the Canaries, but it isn’t particularly expensive either. It is certainly cheaper than staying in Venice itself. The final, most important, thing is the excellent transport links to Venice. The No 5 bus, caught a short distance from our hotel, took us to Punta Sabbioni, where we caught the ferry to Venice, landing within 200m of the Doge’s Palace and St Mark’s Square. 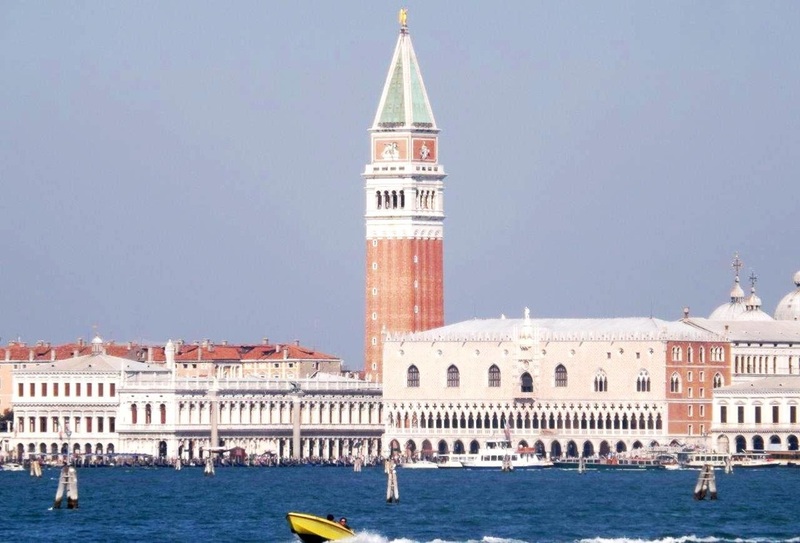 The bus/ferry combo runs at frequent intervals from early May to late September, starting at 5 in the morning with the last return ferry not leaving Venice until after midnight. At peak times services are every 30 minutes. The cost is just €21 return p.p. and the complete journey time is between 45 minutes and 1 hr 15 minutes, depending on where you catch the bus. Other ferries serve the smaller islands of Torcello, Burano and Murano. There have been many things written about what to see in Venice and it is unlikely that I can add much to them. However, in my opinion there can be no better way of approaching the city for the first time than from the water. You will see the city as countless generations of sailors have seen it, whether it was for the first time or when returning from a trading voyage, since the city was first founded in the 7th century. It is certainly better than the view you will get from a car, bus or train. As the ferry approached the terminal I was both enthralled by the magnificence of the architecture and the hustle and bustle of the waterfront. If I was in any doubt as to how important water transport was to this city, I was in no doubt after I had seen that. But we didn’t come to Venice to see the garbage barges and water buses. We came to see the city, and there it was. 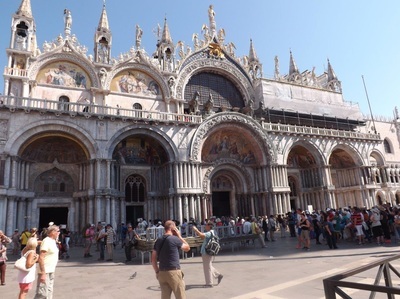 The magnificence of the Doge’s Palace and St Mark’s Basilica, that can’t be appreciated from a landward approach simply because Venice’s other buildings get in the way. Like New York and Sydney, this is a city where the best view is from the water. After visiting the Doge’s Palace and St Mark’s Basilica and wandering the back streets admiring the shops and looking for a reasonably priced slice of pizza (we found one), we wanted to return to the water to get the best views of the city. Returning past the palace to the waterfront, we took a right turn and 100m along the quay we found the place where the waterbuses (vapereto) arrive and depart. A €7.50 ticket allowed us ride the waterbuses for 75 minutes. That is controlled by the electronic ticket barriers, so as long as you board a bus before the 75 minutes is up you can still travel. We took bus line 2 along the Grand Canal. You can get on and off along the way to view your favourite sites, including the Rialto Bridge and market, but we were content to just “cruise” and take in the wondrous cityscape. 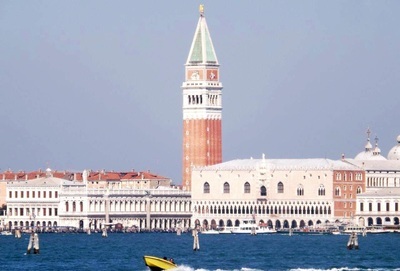 After stopping at the Piazza Romana at the far end of the Grand Canal, the bus goes out into the lagoon, past the cruise ship terminal and returns between the south side of the island and its nearest neighbour, Giudecce, before returning to the Palace. By this time we had seen enough of Venice for the day, so we got off the bus at S. Zaccaria, right next to the ferry terminal. There is just so much to see in Venice that it takes more than one day to view it all. 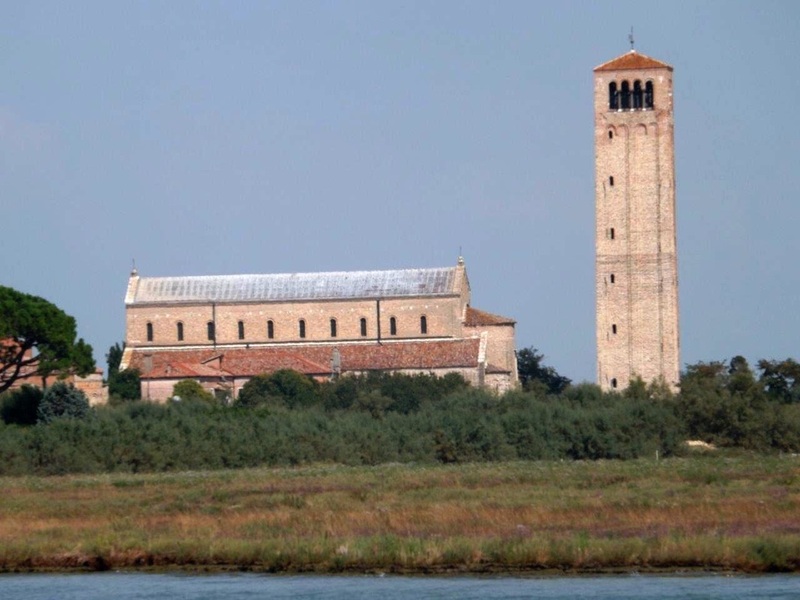 We also took a trip to Torcello island, to visit the oldest continuously inhabited island in the lagoon and the home of the first Basilica. It was another half day trip in itself, but we would recommend it. Those aren’t paintings on the Basilica walls, they’re the most exquisite and well persevered medieval mosaics! The cruise ships time their tours for mid-morning, so plan your visit for the afternoon if you want to avoid long queues at the most popular tourist sites. There is a dress code in the Basilica which is strictly enforced. Shorts mustn’t be above the knee and shoulders must be covered. They will rent you a shawl to cover up if you are improperly dressed, but it is the shawl of shame. Large bags and rucksacks can’t be taken into the Basilica and have to be deposited in a garderobe which is round the corner in Calle Spechien, so it is advisable to deposit bags before joining the queue to enter. The Basilica gift shop has the cheapest souvenirs in the city, though they are mainly religious in nature.